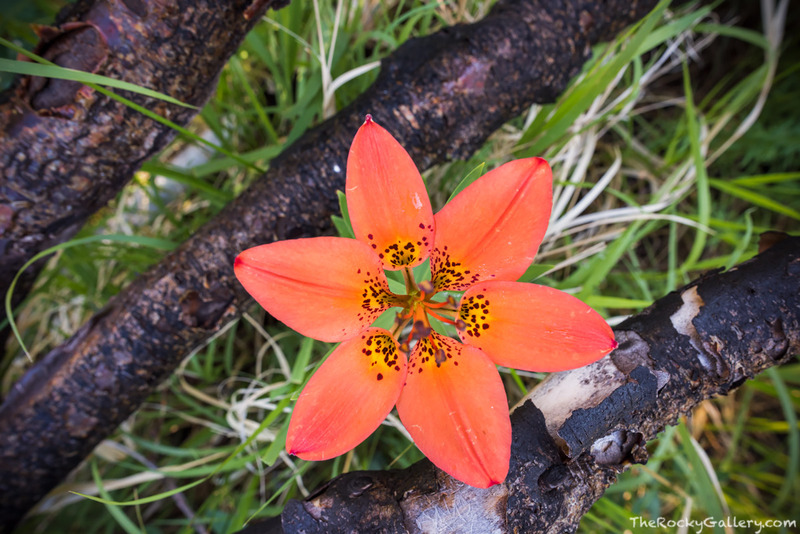 One of the most beautiful yet rare wildflowers to bloom in Rocky Mountain National Park is the wood lily. This brilliant reddish and orange flower will grow in wet meadows near downed trees and logs. They dont bloom each year and often bloom in areas that one would walk right past. One July near the Cub Lake trail I by chance happened upon a few blooms in a marshy area and spent the rest of the morning photographing these wildflowers. Photo © copyright by Thomas Mangan.